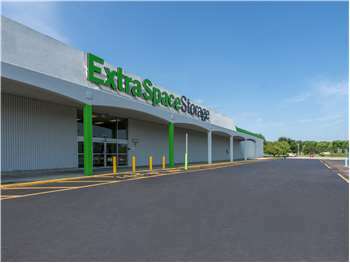 Located on S High St north of I-270, Extra Space Storage serves Columbus residents near South Columbus and Obetz. Locals will recognize our facility near Walgreens. With a variety of storage units, climate-controlled storage, and exceptional security, Extra Space Storage on S High St is your go-to storage solution in South Columbus. Units at our Columbus storage facility range in size from 5x5 to 10x30, providing several options for items large and small. We also have units with convenient features like first-floor access and elevator access. At Extra Space Storage, we're dedicated to providing a safe storage environment for our customers and their valuable belongings. That's why our S High St storage facility is equipped with security measures like 24-hour video surveillance and security access to your floor only. Protect sensitive items from extreme heat and cold year-round with a climate-controlled unit. With climate control, your unit stays between 55 and 80 degrees at all times. Not only does Extra Space Storage provide high-quality self storage in a clean, secure facility, but our customer service is also the best in the business! Our friendly, professional staff goes above and beyond to ensure your needs are taken care of. Contact us today to reserve a storage unit in Columbus! Drive south on S High St. Pass South Drive-In Theater and continue straight on S High St. Turn right onto Williams Rd. Our facility is on your left, after Walgreens. Drive north on US-23. Pass I-270 and continue straight on S High St. Pass Walmart and turn left onto Williams Rd. Our facility is on your left, after Walgreens. Drive west on Williams Rd. Pass New Beginnings Christian School and continue straight on Williams Rd. Pass S High St and continue straight on Williams Rd. Our facility is on your left, after Walgreens. Drive southeast on I-270 E. Take Exit 52 to merge onto S High St. Pass Lowe’s and continue straight on S High St. Turn left onto Williams Rd. Our facility is on your left, after Walgreens.